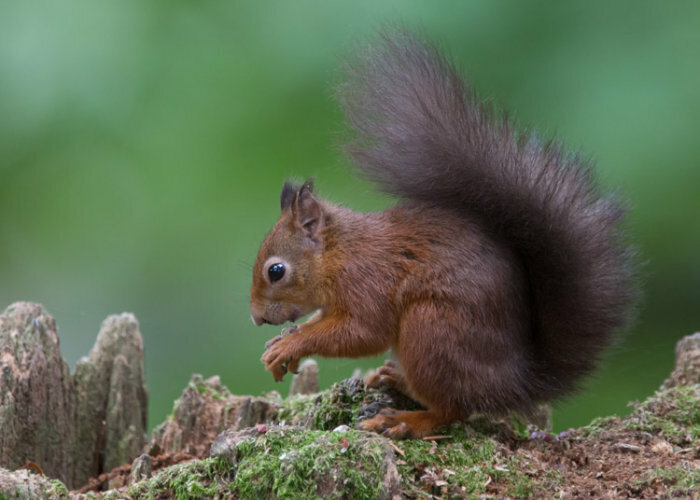 Plenty of red squirrels about on Brownsea, busy caching food for the winter. Mostly they were scurrying about on the woodland floor but I did manage to entice this one onto an old stump by taking hazel nuts. It was in rather dark woodland so I needed high ISO, but reasonably acceptable results in the end.